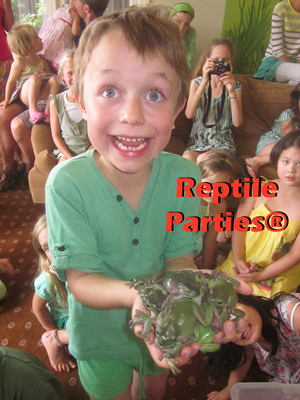 Reptile Parties® Melbourne, Reptile Shows, Victoria. 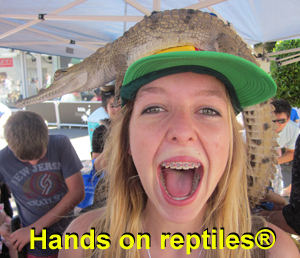 Snakebusters are the leading providers of reptile shows in Melbourne. We do more reptile shows for events, kid's parties and schools across Melbourne, Victoria and elsewhere than any other wildlife demonstrators, including newly licenced novices with slick SEO websites and false claims of non-existent experience. 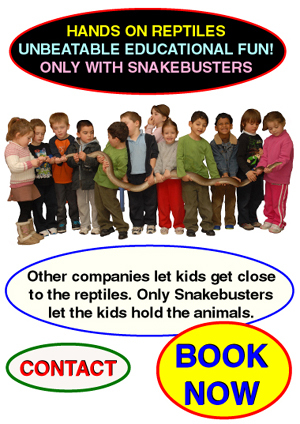 Reptile shows with Snakebusters are consistently rated as best for three reasons. 1/ Snakebusters are the only company in Melbourne with hands on reptiles shows, where kids and adults get to hold the animals, as opposed to just getting close. 2/ Snakebusters are alone with the expertise to be able to have a fully legal deadly snake show in Melbourne (ours the only snakes in Australia that are vet certified, surgically devenomized and microchipped in accordance with the OH and S Act 2004). All others are both a risk and illegal! 3/ Snakebusters are the only reptile show people with more than 30 years in the reptile business ... experience matters! Reptile shows Melbourne. 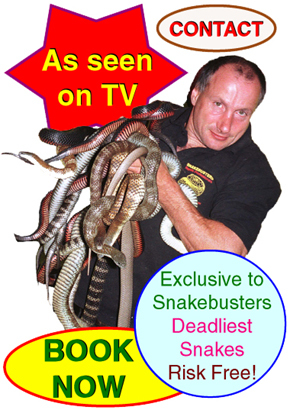 ©1996-2015 Snakebusters snake, reptile and wildlife shows Melbourne Victoria. All rights reserved. 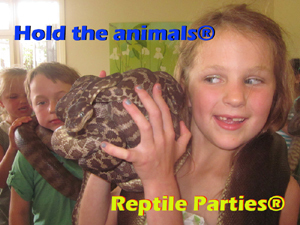 reptile shows Melbourne, venomous reptile shows Melbourne Victoria, deadly snake shows Melbourne Victoria, Corporate reptile shows Melbourne Victoria, educational reptile shows in Melbourne, kids reptile shows in Melbourne Victoria, the best mobile reptile shows in Melbourne. 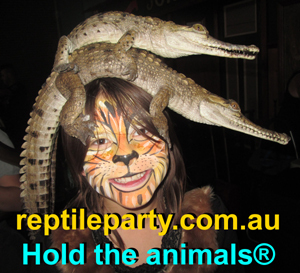 Reptile shows in Melbourne,deadly snake show Melbourne Victoria, Corporate reptile shows Melbourne Victoria, children's educational reptile shows in Melbourne, Snake shows Melbourne, kids reptile shows in Melbourne Victoria, the best reptile shows in Melbourne.